5 Years / 100K Mile of worry-free driving comes standard when Tanner Transmissions rebuilds your automatic transmission. Welcome to Sandy's transmission repair and auto services page! 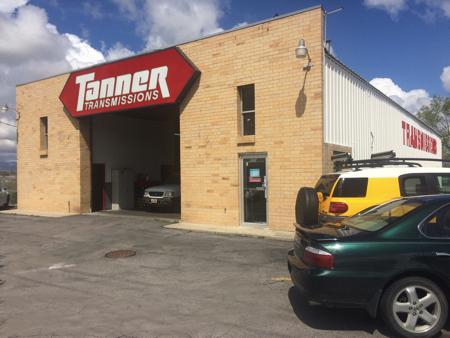 Located conveniently on 600 West and 9000 South, near the I-15 entrance, Tanner Transmissions repair service in Sandy is staffed with a team of trained professionals who specialize in providing you with the best transmission repair service. When you need the help of reliable, knowlegeable experts for transmission repair in Sandy, look no further than Tanner Transmissions. Our team of technicians are kept up-to-date on the latest and best practices for transmission repair, meaning they're capable of handling any issues that arise with your vehicle. We're professional, honest, and courteous, and we strive to help you drive out of our lot faster than you ever expected. When you're experiencing transmission problems, you need a transmission repair service in Sandy that remains at the cutting edge of expert transmission builds and repairs. We stand behind the work that we do and our transmission and repairs are stamped with quality you can always rely on. When your car exhibits symptoms of a a failing transmission, bring it in for a quick diagnosis and let our staff of trained professionals handle all your needs. 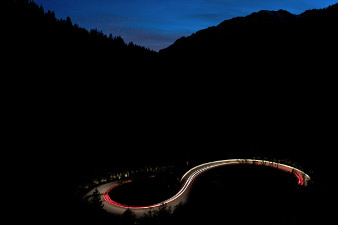 We'll get you back on the road in no time. We've stayed in business for over 30 years for a reason; We've provided reliable, long-lasting transmission builds and repairs to residents of Utah, expanding our reach while still offering the same quality of care that made us an industry leader in transmission repair. Give us a call or stop by our center today! How can I tell if I have a transmission problem? Get an accurate diagnosis as soon as you notice a symptom. Our transmission professionals are ready to answer your call right now! Call Tanner Transmissions today at (801) 742-5473! Schedule your appointment now! The best service I've received in a long time. They went above and beyond the service that was needed & pointed out something that needed repair. They repaired it quickly and at a fair price. Great experience! I will only bring my car to these guys. "They drove my car and found I have a computer issue. Very helpful. Very Professional. I will only come here when it comes to transmission problems. I will recommend to all my friends." "They rebuilt my transmission and transfer case. Very good! Personable and honest!" "Completely satisfied with Tanner's service. My car is running great now! 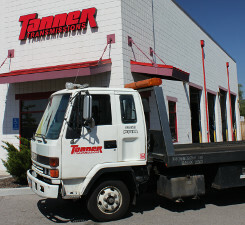 Tanner Transmissions knows what they are doing and the work will be done right." "The service was great! Friendly, good timing, and just pleasant overall. I'd definitely recommend Tanner Transmissions to people around." "Very prompt picking up my vehicle and making the necessary repairs to my transmission. Professional and prompt." We are a transmission specialist, not a generalist. We have solely focused on transmissions for 38+ years. There are hundreds of different types of transmissions in today's vehicles. 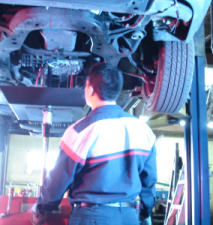 Transmission repair requires a very experienced, transmission knowledgeable team with the proper equipment. Our transmissions are put through a rigorous 20-minute test on a dynadrome. A dynadrome test simulates different speeds and loads on the transmission. The transmission's performance is statistically evaluated before being installed in your vehicle. At Tanner Transmissions, we have repaired and rebuilt transmissions from classical collector cars, to custom built cars, to the most modern vehicles on the road today.